Dr. Wheaton is a physician with a clinical practice called Lakeside Sports and Pain Clinic located in Excelsior, Minnesota, on the shores of beautiful Lake Minnetonka. He specializes in regenerative (natural) medicine techniques to repair and heal injuries and restore normal function. He assesses and treats a wide variety of conditions as listed in his biography below. 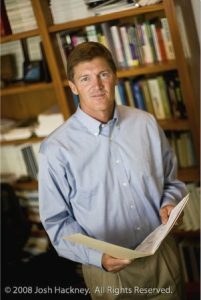 Dr. Mark Wheaton discovered the unique and highly-effective treatment method of Prolotherapy in 1996. He desired a natural, long-term therapy that would relieve pain and improve the lives of the patients in his practice with connective tissue injuries, joint problems, and chronic pain. Personally, he wanted to find the answer to the many chronic injuries that he had accumulated from a lifetime of competitive sports. Prolotherapy became the answer for both patients and himself alike. Dr. Wheaton received quality, in-depth Prolotherapy training from 1996 to 1998 by learning the renowned Hackett-Hemwall method. The director of those Hackett-Hemwall conferences predicted that Prolotherapy would “take over” Dr. Wheaton’s practice and that has certainly come true! For 10 years, he was a volunteer physician alongside Dr. Ross Hauser and his charitable clinic called the Beulah Land Natural Medicine Clinic where hundreds of patients came quarterly from all across the country to receive Prolotherapy. The education and training Dr. Wheaton received from these experiences provided him with a high degree of confidence in his skills as a Prolotherapist. Dr. Wheaton’s entire practice is devoted to the practice of Prolotherapy (tissue repair with natural solutions) and PRP (tissue repair with one’s own blood). Dr. Wheaton has treated chronic connective tissue pain, every kind of joint pain, including arthritis, loose joint ligaments, and many other conditions from head to toe with these unique regenerative techniques. His results from Prolotherapy and PRP have been outstanding, with over 90% of his patients getting good to excellent long-term results. Dr. Wheaton is known by his patients for spending a generous amount of quality face-to-face time with his patients to accurately diagnose the problem, discuss the treatment options, and answer all questions. When a patient comes to LSPC, he or she will not only receive his advanced technical injection skills and experience, but also his full, unhurried, and undivided attention to every aspect of that individual for the best assessment. The result is the best possible outcome for the patient. To find out more about Dr. Wheaton, Lakeside Sports & Pain Clinic, or for information on whether you might be a candidate for Prolotherapy or PRP, call or email his pleasant staff. His Office Manager is Gina. LSPC staff are Malyn and Sue. You can read more on his website drmarkwheaton.com. It’s 2017 and I’m back again, 13 years later to Dr. Mark Wheaton’s office, but…I’m not in ANY pain. In fact, I haven’t had pain (for which Dr. Wheaton treated me) in 13 years! No, I’m back because my husband has run the gamut of chiropractic, orthotics, and ice regimens for 2 years. I’ve known for 2 years he needed what worked for me. Prolotherapy!! I’m looking forward to seeing what Dr. Wheaton’s treatment plan will do for my husband. When I first came to Lakeside Sports & Pain Clinic and Dr. Wheaton, what I really wanted was a shoulder replacement surgery! The bone-on-bone pain in my shoulder was THAT bad. Fortunately, my orthopedic surgeon recommended that I put off surgery as long as possible, because at age 43, I had a good chance of out-living the shoulder replacement but with my diagnosis of advanced osteoarthritis and life-altering shoulder pain, I needed to do something! I was opposed to the cortisone injections and even using NSAIDs over-the-counter because I knew there were harmful side effects on the body’s systems. Prolotherapy seemed like a long-shot to me, but other than the moderate cost and my dislike of needles, I could see no down-side! After just three Prolotherapy treatments on my shoulder, I no longer have the bone-on-bone pain and my sleep is no longer interrupted by pain. I do still have some limitations in my range of motion, but the range I have is much less painful than it was before Prolo. In my case, I expect to need maintenance treatments over time to keep the joint health up and the pain down, but I am hopeful to put a replacement surgery off for a LONG time, and maybe I will never need it. Thanks, Dr. Wheaton, and your wonderful team at Lakeside Sports & Pain Clinic! A little over a year ago, I strapped my left arm to help stop the pain. It’s hard to believe if you see how freely I use my arm now. I’m back to doing all of my same activities. My life has been changed by Prolotherapy. I had pain in the neck, upper back, and shoulders for so many years. I was beginning to believe that was my future. Surgeons wanted to fuse my neck, but no longer. My life is good and I’m healed! I highly recommend it! I have severe chronic pain from decades of rheumatoid arthritis. I tried conventional forms of pain treatments with different pain doctors. Unfortunately, I was unable to get the pain relief needed to help me function on a daily basis. Consequently, I have not been a ‘real’ fan of doctors until, by the grace of God, I met Dr. Wheaton. We currently live at a time when the patient-doctor relationship is under threat because of insurance company requirements that have shortened the time allowed for doctors to spend with their patients. As a result, quality care has been sacrificed. This is not true with Dr. Wheaton. In addition to being genuinely interested in his patients, he spends the time that is needed to properly treat that pain condition. From the first appointment, Dr. Wheaton exhibited genuine compassion and wisdom gained through years of effectively treating pain via the methods he uses: Prolotherapy, Platelet Rich Plasma (PRP), electrotherapy, and neural therapy. Combine the treatments that LSPC offers with the compassionate guidance of Dr. Wheaton and the result is top quality medical care–as it should be. My right knee has had significant improvement of the meniscus injury I had after PRP (Platelet Rich Plasma) treatment 4 weeks ago. Hyperextension of knee is almost painless. I slipped on the ice two weeks ago that caused hyperextension of right knee with no impact on my meniscus! Back in September of 2016 I had two rounds of PRP (Platelet Rich Plasma). Previously I had five rounds of Prolotherapy. For me the PRP really cemented the gains that I had made from Prolotherapy. The reason I decided to get PRP on my low back was because after my 5th round of Prolotherapy the pain started to come back. I did not want to regress or try conventional medicine or back surgery. The PRP was my last resort before I thought I would need to try surgery. It has been almost six months since my last round of PRP and I am about 95% better than I was a year ago when all of my back trouble started. I am now just in for a touch up. Dr. Wheaton has been great and without him I don’t know what I would have done. Both Prolotherapy and PRP have been a tremendous help.